Last month saw the opening of a new exhibition at the National Portrait Gallery in London. 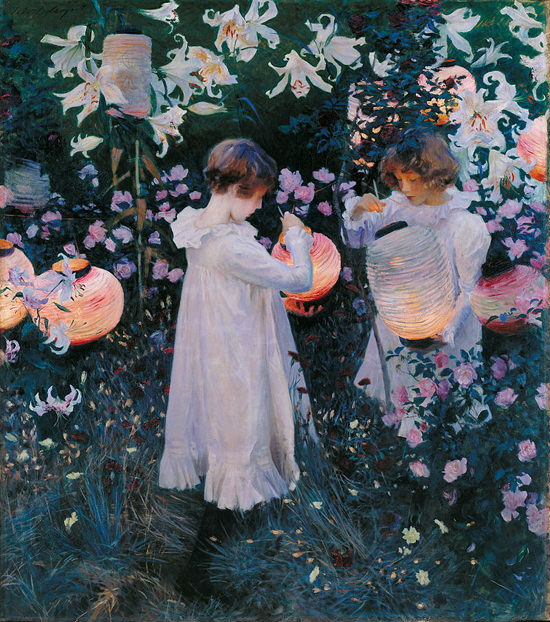 I’ve been a fan of Singer Sargent’s paintings ever since visiting the Tate in London as 15 year old student, blown away by Carnation, Lily, Lily, Rose, the most compelling scene with its magical sense of glowing light. I’d always thought it was quite a small painting having only seen it in books, but in reality it’s nearly 2 meters tall by 1.5 meters wide, the sheer scale of it being life-size really draws you into the piece. The golden hour light is fading and the glow from the lanterns illuminates the girls faces so beautifully. Although I’ve studied Sargent extensively in the past, this recent show Sargent, Portraits of Artists and Friends was a fantastic opportunity to see so many great paintings next to each other within the context of a timeline of Sargent’s life. Many of the paintings in the exhibition were gifts to his friends, of his friends and fellow artists, in fact the two subjects in the painting above were the daughters of Sargent’s friend, the illustrator Frederick Barnard. 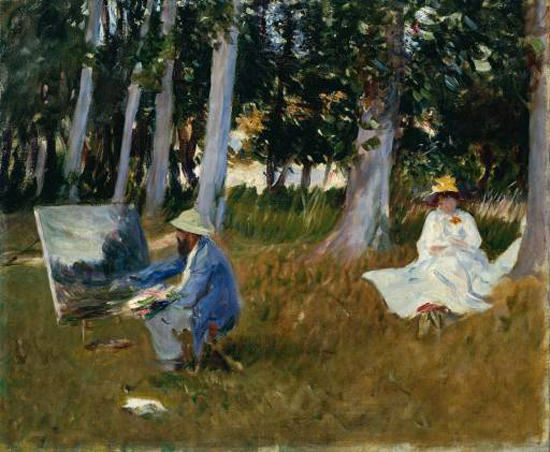 Claude Monet Painting by the Edge of a Wood, John Singer Sargent, Oil on canvas, 1885? The show revealed some connections I hadn’t noticed before and gave a fantastic peek into his thought process and experimentation’s as an artist. I’d forgotten that Sargent was such a good friend of Monet’s. They’d met at an exhibition in Paris when Sargent was only 20 years old, he enjoyed watching Monet painting en plein air and his impressionistic, more gestural style influenced his own paintings – Sargent had been trained with a much tighter, classical painting technique. He visited Monet at his studio and gardens at Giverny, France and painted him many times, often whilst Monet was at work sketching the landscape. Observing other artists for the pleasure of painting, totally away from the pressures of high profile commissioned clients, allowed Sargent to experiment with his style without the pressures of the formal sittings. For me, this was the true essence of this exhibition, gaining access to Sargent’s work that was much more personal and intimate. Throughout his life Sargent painted portraits of artists, actors and musicians, who were invariably his friends. Such pictures were rarely commissioned, and the artist was free to create more radical images than was possible in his formal portraiture. Alongside the more relaxed compositions, were detailed portraits that are fascinating to study for the pure technical brilliance of them. One to look out for is this double portrait of the children of the playwright Edouard Pailleron. 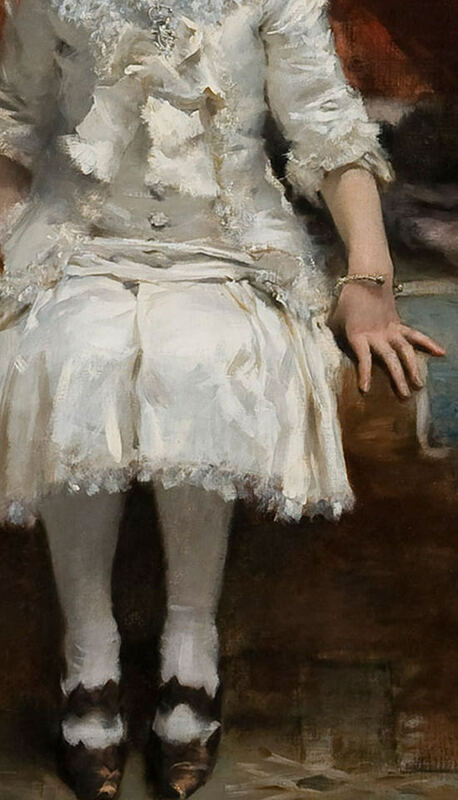 It’s a real masterclass in how to vary your brush marks, from the painterly impressionist Persian carpet to the finely painted hand and gold bracelet, to the highly detailed white fabric of the girls dress. 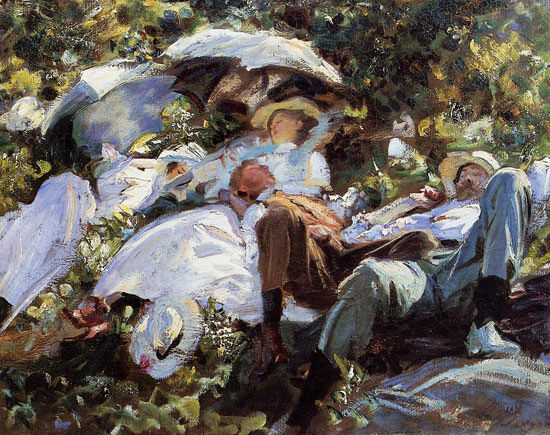 Sargent is epic at painting white! He manages to represent the fall of the fabric, the sheen of the silk, the luminosity of the light hitting the subject without the feeling of it being overworked. For this painting, it’s worth getting your nose as close as possible to it without setting off the alarms! One of the other portraits that struck me was a side profile of Monet. It was interesting to see him without a hat! I think my romanticized view of Monet is always of him with a handful of brushes in hand, wide hat on head in his Waterlily garden! Sargent’s paintings have that great mix of appearing more finished and realistic from a distance than they actually are when you study them up close. He practiced a painting method called ‘sight-size’, a technique where the key idea is that your eye needs to be able to see both the canvas and the subject in one glance, so they both appear the same size. This makes it easier to flick your eyes between the subject and your painting for judging shape, proportions and colours. The artists viewing position is roughly 6 – 12 feet away from the set up, so you step forward to make a mark and then step back to observe your painting again resulting in a more painterly, naturalistic finish. Sargent has a great knack for concentrating our attention on the key features, the nose and eye have a refined lightness of touch, in comparison to the bolder handling of the brushstrokes on the white of Monet’s shirt and back of the neck … that is until you step back about 6 feet from the painting and suddenly the whole portrait comes into focus. The other thing I love about Sargent is his use of high contrast and black. 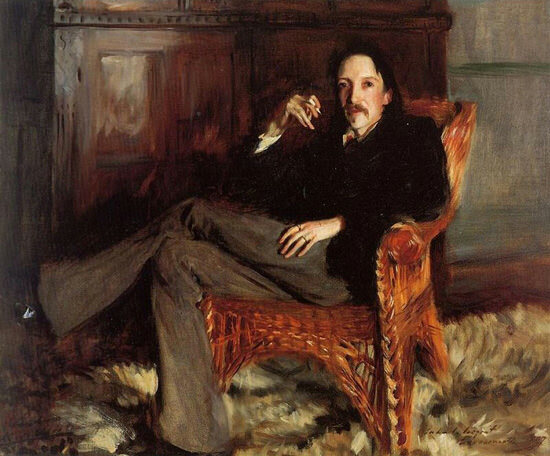 Squint your eyes at this portrait of Robert Louis Stevenson, author of Treasure Island and you’ll see how his jacket and hair blend into the dark sideboard, placing the face in the highest contrast area of the painting. He also draws our attention to the writer’s hands by painting them with more detail and refined modelling. 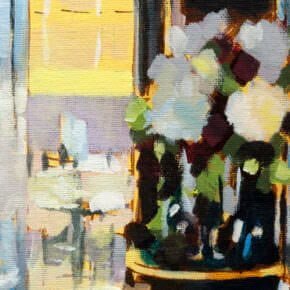 Also, his use of composition, especially in these more informal pieces is really contemporary and you can see a dark criss-cross pattern on the rug that helps to add lots of great diagonal lines to the composition. These add to the already existing diagonal lines of his crossed legs and hand near his face, building on top of very gestural speedily painted brush marks on the back of the chair, resulting in a great sense of movement around the sitter. You almost feel like his mind is whirring and this is one moment of calm before he uncrosses his legs and jumps out of the chair. Sargent studied painting with Stevenson’s cousin at the Atelier of Emile Carolus-Duran in Paris, so knew the author for many years painting him at the height of his writing career. 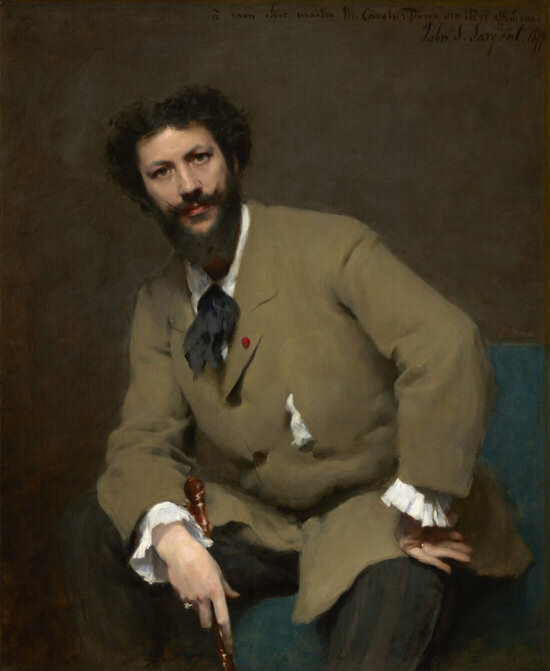 The other portrait I was keen to see in the flesh was his painting of the acclaimed french painter Carolus-Duran. Sargent studied under Duran at his Atelier between 1874-77, and he progressed so well they painted commissions together before Sargent set out on his own. And just out of interest, Sargent was 23 years old when he painted this portrait. I’d always loved the pose and gesture in the painting and the great handling of the sombre green hues. You will also notice another technique that comes up time and time again in portraiture, and that’s the arrangement of having skin tone next to black and then white. This works really well because you can keep the hues between the skin tones very close in colour and tonal value but add variety and contrast to your portraits by the surrounding darks and lights. It’s all too easy to become addicted to glazes and overwork sections of your painting only to find you’ve lost some of that freshness and spontaneity. I left the exhibition super inspired by the handling qualities of Sargent and the impact a few carefully placed direct brushstrokes can have. There are so many great paintings in this show, if you get a chance to visit, it’s well worth it. When you start your next portrait, load up your brush with colour, stand back from your easel and channel your inner Sargent! The exhibition runs until May 25th at the National Portrait Gallery, London. P.S. I wanted to say hello to Cath, one of the students from the blog who happened to be visiting on the same day and spotted me in the gallery, I’d only been admiring her painting of a teacup a few weeks ago so it was great to put a face to a painting, so hello Cath! Thanks so much for your interesting views on Sargent, and more importantly for all the time and energy you give to instructing others! I’ve come to this game relatively late in life and am so enjoying the process of learning all about art. Your tutorials are perfect and your infectious wit and enthusiasm keeps me inspired. So thank you! Hi Val, thanks very much, pleased you found the article of interest and have been enjoying the tutorials, you’re too kind! Love your paintings. Very good! Cheers Tom, pleased you enjoyed it. Thanks Will – unfortunately I’m not going to be able to get to this exhibition – being in New Zealand as I am – so I really appreciate the opportunity of viewing at least a few of John Singer Sargent’s work. I too am a great fan of his. Hi Gloria, nice to hear from you, I can see the travel complications from New Zealand! hope the article gave you a flavour of the show. Thanks Will for sharing your Sargent experience! I look forward to all you can share of Cornwall. Love that area! So rugged & beautiful!! Thanks Patricia, yes really looking forward to it. ABSOLUTELY ASTOUNDING, I ESPECIALLY NOTICED THE ONE OF EDOUARD AND MARIE LOUISE. THE WAY THE CARPET CURVES BY THE GIRL’S FEET. LOOKS SO REALISTIC. IS WHITE VERY DIFFICULT TO PAINT? I HAVE NOT PAINTED A LOT WITH IT. THANKS WILL FOR SHARING THE PICTURES. Hi Cheryl, yes it’s a great painting, white can be harder to judge in duller lighting conditions (such as the twilight in the first painting of the girls). Your mind can tell you to paint it white, whereas you need to paint it a muted grey – so it appears white. Thank you for the great review — I’m half a word away and won’t be able to see it in person. So, I really appreciate your post. Thank you for showing this great work, which is a very interesting study. Thanks Shirley, pleased you found it of interest. Thank you Will for putting this together It is very inspiring. Hey Margo, you’re more than welcome, pleased you enjoyed it. Thanks so much for sharing this with us. I can understand why you so love Carnation…… It almost looks like an actual lantern. And his use of white is amazing. Again, thanks much. Thank you for sharing. Opening your email was like opening a box of chocolates… such a treat. Thanks Ingrid, I’m always partial to a box of chocolates! pleased you enjoyed it. What a great article, lots of food for thought. 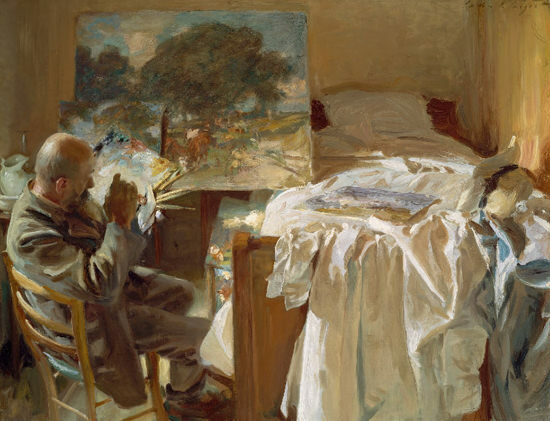 Oddly enough earlier today I came across this very interesting description of Sargent’s technique (much of it in his own words) http://keenewilson.com/page/2947/john-singer-sargents-painting-techniques. Thanks as always for sharing your expertise. Hi Ann, pleased you enjoyed it, thanks for sharing the article. I totally enjoyed this post. I love Singer Sargents artisty. The work you share here is just so stunning. Wow! You are lucky to see all of these and more together in one place. I have only seen a few in “person”, and they are incredible. I have seen many he painted of the Vanderbilt family. One especially thrills me, it is of Edith Vanderbilt. High Contrast, and yes, her face is surrounded by black off set by white on the other side, just as you shared with us. Glad you had such a fine visit. Thanks Terri, yes, it was a real privilege to be able to see so many works together, really pleased you enjoyed the article. Sargent is one of my favorite painters and I love Carnation, Lily etc.. Just last week, I saw his portrait of Lady Agnew of Lochnaw and reveled in its beauty. It is on loan to the San Francisco DeYoung Museum from the National Gallery of Scotland. I had the good fortune to be in NYC a few years back and had a limited amount of time at the Met. I made a beeline to see Madame X. Wow! It knocks me out to see such great art right in front of me. Thank you so much for your insights on his paintings. I learned a great deal from you. And thank you for your tutorials, I am just starting to paint at the grand old age of 68 and you have been a big help and inspiration. Hi Annie, really pleased you enjoyed the article, the Lady Agnew of Lochnaw is such a lovely painting isn’t it. Only signed onto your website last week, so this is my first blog. 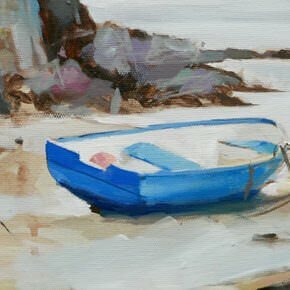 I’m enjoying your acrylic tutorials, and now your review of the Sargent exhibition. I look forward to seeing more in the future. Many thanks. Hi Taffy, nice to have you along, pleased you’ve been finding the acrylic tutorials helpful. Great post Will! I really enjoy Sargent’s work. Oyster Gatherers of Cancale has recently inspired me to paint a picture of my family on the shores of Prince Edward Island. I just have to get cracking on it. Can only hope that the Singer Sargent & Friends exhibit is covered by Exhibition on Screen so it can make its way over to us on the other side of the pond in Canada. Hi Jesse, what a fab painting of Sargent’s, hope your painting turned out well. Thank you Will, I love the wonderful exhibition part of which you have shown us .I wish I was there. You’re welcome Robin, pleased you enjoyed it. Thanks so much for sharing. I enjoy all these beautiful paintings of this great artist. Look forward to hear from you and see what you will be sharing. Hi,Will: I laughed when I read your comment about getting your nose right up to the painting. I do that all the time and I know that I make the security guards quite nervous. Thank you for pointing out things to look for in the paintings; it really helps. Enjoy your trip to Cornwall and happy painting. Hi Oksanna, yes, sometimes only a super close-up view will do! Pleased you found it helpful. ……and being in New Zealand as I am too! I love his work. Thanks so much for sharing the exhibition and for your words! 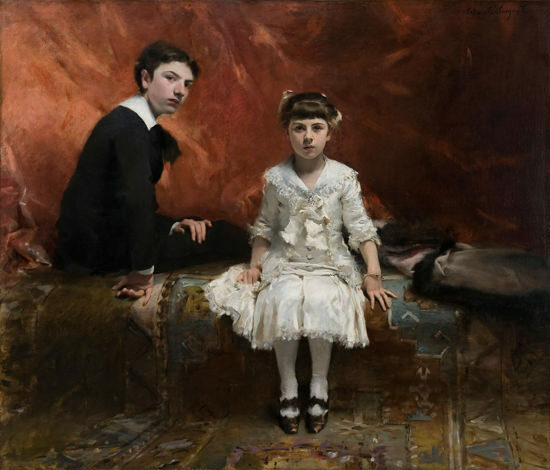 I was so glad you visited the Sargent exhibition because I’m a great admirer of his work. I’m also glad to read your insightful comments of this most talented artist. While I’m half the world away in Singapore and sadly, distance and my work schedule not permitting, I’m yet very happy for your comments and observations because you made me imagine I was there at the exhibition with you. Thank you. Keep up the good work and I look forward to seeing your Cornwall ‘adventures’! Thanks Ransome, it’s a pleasure, fantastic that is helped give you an insight into the show. This is a great article, I’m really liking John Singer Sergeant’s work. I’m sorry to say I will miss this exhibition by about 6 weeks. I leave Fremantle on Sea Princess and will arrive in Southampton in July. Anyway, thank you for this wonderful piece. Thanks Dale, sounds like you’ve got a fantastic trip ahead of you, really hope you enjoy it. Thanks Will the exhibition looks amazing . I love the detail of the girls dress and the skin tone . I hope to get to it . Cheers Emer, yes it’s a brilliant painting, hope you get a chance to see it. Hi Will, I am greeeeen with and totally consumed with envy. I adore the mastery and panache of Sargent, my local gallery – I am gutted and have lodged a complaint. Also envious of Cornwall, but not quite as much as the Sargent show. Hey Sandy, yes it was a real privilege to be able to see so many works together, hope the exhibition tours nearer your shores. Hi Will, I am greeeeen with and totally consumed with envy. 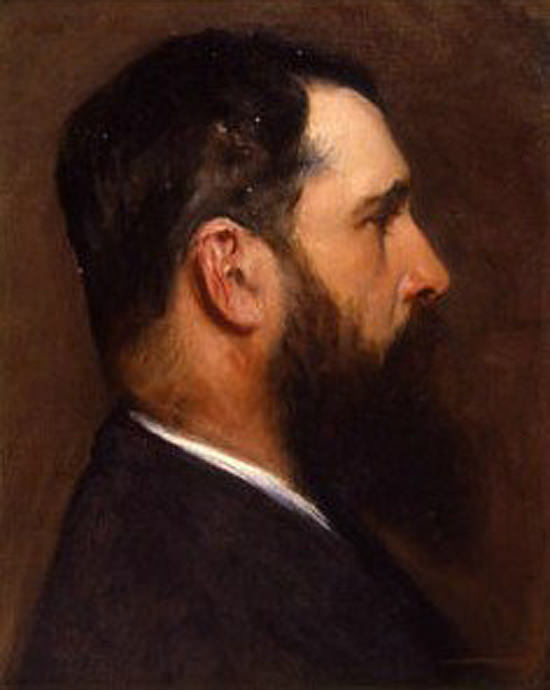 I adore the mastery and panache of Sargent, my local gallery – the Art Gallery of New South Wales has not one single representation of his work – I am gutted and have lodged a complaint. I too teeter on the demarcation line, especially when trying to get a better look at the brushwork or edges of the canvas (you never know what it might reveal), I no longer wear high heels for viewing as the delicate balance is easily upset. Also envious of Cornwall, but not quite as much as the Sargent show. enjoy the light and the fish and chips. Thanks again Sandy, yes the edges of the canvas do seem to have a fascination! Thanks so much, Will, for sharing this exhibition with us. I, too, have been an admirer of Sargent’s since my youth, and seeing as I live in Australia, I’m dead jealous of those of you in the UK who can get to London to see these works. Thank the gods for Will Kemp and the internet! Very kind of you to say so Denise, hope it helped to give you an insight into the work. Visited this exhibition last week! It is absolutely stunning. I had heard of Singer Sargeant, obviously, but not paid too much attention – my loss. An amazing painter. Loved the way he painted clothes in a slightly more ‘loose’ manner, so the face really stands out in beautiful detail. Tha ks for all your helpful and inspiring emails, Will! Thanks Louise, pleased you enjoyed the show. Hey Carol, nice to hear from you, hope you can catch the exhibition. Thank you Will, I really appreciate your generosity in sharing your love of Art & for taking the time to review exhibitions. I’m looking forward to seeing how you ‘interpret’ Cornwall; it is one of my favourite places in England – very different to Australia where I now live. Hi Barbara, thanks very much, yes it’s a stunning area, really looking forward to it. Örülök, hogy ismét írt levelet. Eddig minden kúrzust ( tanfolyamot ) letöltöttem. Teljesen át alakult a festési technikám mióta az Ön leveleit tanúlmányozom. Köszönöm! Egészséget és Isten áldását kérem a munkájára. I’m glad you wrote a letter again . So far, all courses ( course ) I downloaded . Fully established through the staining technique since your letters Study . Thank you ! Health and ask God ‘s blessing on your work . Köszönöm szépen István, tetszett, élvezi a kurzus. Thanks very much Stephen, pleased you’re enjoying the course. Thank you, Will! I love Sargent. His paintings are very beautiful and colors are lively. Light on the girls are incredible! I feel so sorry I have no chance to see his work. I am in the USA. Actually in Russia right now. I recently found in Internet another very interesting American artist I have not heard about before Richard Schmid. Thank you for sending us such little introductions about what is going on in London from time to time and keeping in touch. You are great!! Thanks Irina, hope you can catch the show when it tours to the USA, enjoy Russia. Living in a backwater in France and unable to make the trip to London at the moment I was rather jealous of my sister who told me she had been to see the Sargent exhibition. I have long loved the work of Sargent, particularly Carnation Lily Rose, and I feel somewhat cut off from the world, here in deep France, so imagine how thrilled I was to recieve your email this morning Will. I just wanted you to know how very much your generosity in sharing your experiences and expertise is appreciated Will and thank you for your inspiring comments. Hi Jenni, Lovely to hear from you and really pleased that you found the article gave you a taste of the exhibition. Thanks for your very kind comments. I love your enthusiasm and passionate review. Living in Australia, I will miss this amazing show, but thanks for sharing. Thanks so much for this Will! You hit that glazing addiction right on the head! Haha! I have to get out of that! It’s always so appealing though isn’t it! pleased you enjoyed the article Jeff. Thankyou for this guided tour of Sargeant’s creations. I am left speachless. How lucky am I to come in contact with you. At 78 I am a kindergarten floundering painter. I can see beauty and cry so easily. Alas, life did not offer me an opportunity earlier to know paints, brushes and YOU. Thank you! Hi Chander, really pleased you enjoyed the tour, 78 sounds like the perfect age for putting paint to canvas! Thanks for including me. Great painter. Would like to visit but the trains are extremely unreliable from my neck of the woods. I consider walking!! Thanks Bernie, I think it could be worth the walk! Thanx for sharing that Will. And Really Good to get your take on the various portraits. I would hope to see that in the flesh! Have a Great time in Cornwall. Thanks Matt, yes the whites again are so well painted in Carnation, Lily, it really captures the sense of cool light against the warm glow of the china lanterns. Great choice of work and very interesting. Thanks Will, you’re an inspiration to beginners like me. Thanks Neil, pleased you enjoyed it. Everything Will says about this exhibition is so right. The portraits are absolutely stunning and so varied, it’s worth a visit to London just to see these pictures. I’m working on the black and white picture of you Will (bit spooky) but in acrylic, then I’m going to get your acrylic portraits course. Hey Cath, thanks for dropping by and looking forward to seeing the portrait! It was a pleasure to meet you at the show, Vanessa says hello as well. I’ll keep you posted about Cornwall, some early Summer sun would be a dream. The more I look at details in his paintings the more I wonder how fast he must have worked to get it all in. 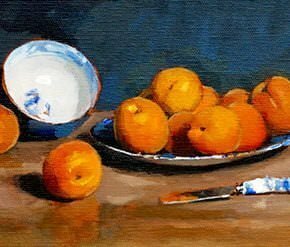 Broad brushwork at times and then when you study the many little touches they stand scrutiny so well. I once counted the highlights on a long string of beads in a portrait. From memory about 150 ! Glazing with colour after sorting out the drawing and values and then superimposing thicker touches might mean he worked to a system but his pictures force admiration on the viewer. A workaholic? Whenever I admire above average performance by anybody I know they have spent a lot more time and taken more pains than most are willing to try. To get to his level means he gave up a lot of the many other distractions of life and 100 years later we are still thanking him for it. Thanks Eileen, pleased you enjoyed it. Thank you very much for this information. I cannot get to London until September, but I will go the National Gallery with new ‘eyes’. I will be able to look at the paintings in a more informed way. Hi Anne, you’re welcome, this show would be on tour in New York in September, but when the paintings return there are some great Sargent paintings with the permanent collection of the National Portrait Gallery, the portrait of Henry James is a good one to look out for. Thanks for sharing your Sargeant experience ! What a treat to receive your post!…..I would love to see this exhibition Sargents work is so inspiring. Thanks Jane, yes, that can make such nice compositions with the white dress/coastal combination. Many thanks for the dissection of the techniques which is so helpful. I love Carnation, Lily, Lily, Rose. One sees many copies of it on cards etc, but the painting has so much more luminosity, and, as you say, the size of it too – it stunned me so much it is my sole memory of the whole JS-S exhibition I saw many years ago. Thanks Sophia, yes it’s amazing what a change in scale can do to a painting, pleased you enjoyed the article. Hi Will thanks so much for all about Sargeant..so interesting. Shall definitely go and see the exhibition. I am going to purchase your portraiture course in oils. Love the way you teach..I have learnt so much!!! Thanks Maggie, really hope you enjoy the show and the portrait course. Thanks for such an interesting review. I saw the exhibition a couple of weeks ago. I am ashamed to say that I didn’t know much about Sargent before, but I was absolutely amazed by what I saw. There were one or two paintings I would have like to have taken home with me. I loved the very impressionistic painting, that you mention in your review of the group of friends relaxing under the parasols. And also the painting of Vernon Lee – so expressive, like a snapshot moment in time, the frame of her spectacles seemingly just scratched into the surface of the paint. I would love to have been able to look over his shoulder to study his method. I find Looking at his paintings is a bit like looking at a Velazquez. However close I peer at the canvas I still can’t quite see how he did it. I guess what are seeing is simply colossal talent. The depressing part was going home and looking at my own paintings and how tight and overworked they looked! I really have to force myself to paint more freely. Yes, there are many similarities between Velasquez and Sargent. Both of his tutors in Paris (Carolus-Duran & Bonnat) were both fans of Velasquez and studied his technique closely. Also, Robert Louis Stevenson’s Cousin, R.A.M Steveson, published a book called ‘The Art of Velasquez‘ which looks at his working methods. As ever, what a helpful reply. After a quick check on Amazon it seems that the book is still in print and very reasonably priced at that! Oh brilliant news Terry, hope you enjoy it. Thanks Kim, pleased you’re enjoying discovering his work. Hello Will, thank you for sharing this fantastic and talented artist with us. I was in London a couple of weeks ago to the RA with my art friends on an organised outing to see the Rubens Exhibition and unfortunately didn’t get the chance to go to the National Portrait Gallery. Your visit to the Singer Sargent @ Friends Exhibition has given me a flavour of what I have missed! Thank you so much! You’re welcome Janny, pleased you enjoyed it. Good post. I’ve been to the exhibition twice now because I loved it so much first time. An excellent artist and a very well designed show. I wanted to buy the show book but thought the reproductions didn’t do his paintings justice. I hope to pick some Sargent detail and try my hand at a copy in acrylics sometime. Cheers Alistair, really pleased you enjoyed the show. ‘Carnation, Lily, Lily, Rose’ is my all-time favorite painting. 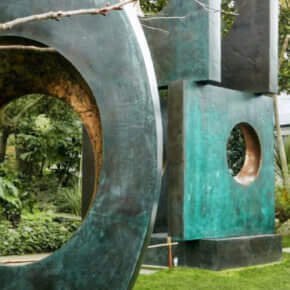 I saw it a number of years ago at the MFA in Boston and was totally transported to that garden. Sargent’s capture of light was magical. I remember reading that Sargent found it difficult to translate the play of light, the children’s innocence, etc., onto canvas. Sometimes, I think, we see the brilliance of a work and think that the artist has a monumental gift lacking in the rest of us. Yes, Sargent was a master painter but he too had to work at it! I am spending time in Cornwall next week as well! I’m thinking I will take many photos to then try to paint once back home in Maine. I’ll be hiking and exploring more than sketching, I’m sure. I have the exhibition on my radar for my time in London. Thanks so much for giving us your personal response to the exhibition, Makes for interesting reading. Thank you for the great pictures from the Sargent exhibition and your comments, which I found very interesting! Unfortunately, I am not able to get to the show because I now live in Boquete, Panama, and my home town of London is 3 plane trips away! Needless to say, your visits to and thoughts about any art exhibitions are always welcome. Have a lovely painting time in Cornwall! Hi Cathy, yes, I can see how three plane trips would be quite a trip! hope the article gave you an insight into the show. Thanks….hope you run into Doc Martin in Cornwall. Thank you for this write-up, it is amazing how you put in to words the painting and the techniques of the artist. Always inspiring. Will, thank you so much for giving us an art history lesson today. I also love John Singer Sargent. I wish I could be in London to see this exhibition! Have a lovely weekend. Thanks Margaret, pleased you enjoyed it. Hi Sally, in the UK Nick Beer (senior instructor Charles Cecil Studios, Florence) runs some good live workshops on sight-size, and he’s also written a book on sight-size portraiture. Thanks very much Prabha, really looking forward to it. What an amazing job of pointing out the salient points of each painting! I’m truly inspired not only to paint but to look more closely and observe the nuances of his and others, paintings. I’m a huge fan of Sargent and appreciate your expertise! Thanks Midge, pleased you found the article of interest. Thank you very much Will, for this beautiful discovery I made through your blog post. I like the artist and his paintings are so rich in color and technique. I love your teaching and painting technique and feel blessed to follow your website on my way of self education in painting. I appreciate your efforts! Thank you again for sharing with your experience. Wish you good luck and much more inspiration in your art life. Thanks very much Hasmik, kind of you to say so, Sargent is a great painter to study, pleased the article has piqued your interest. Thanks Joyce, pleased you enjoyed it. I had the chance to go to this :D I’d not realised just how much impasto he used – he must have been loaded, all that lead white ;) it’s a wonder he didn’t die of lead poisioning. It was amazing to see his charcoal sketches. I like the ones you chose for your blog. I took my sister in law and mum and it was interesting to see what they liked about his work. Oh hey Carmel, nice to hear from you, hope your portraits are going well, yes there is a lot of impasto in his works, so nice to see them up close. Pleased you enjoyed the show. Thank you so much for this review and pics! I feel like I was there. Absolutely loved it. From Cincinnati oh, I won’t be seeing the exhibit but so thoroughly enjoyed seeing it thru your eyes. Gave me an increased interest on Sargeant! 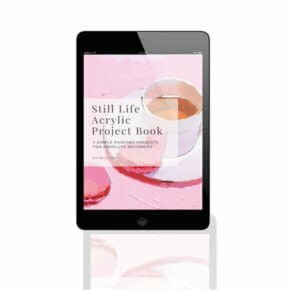 Stumbled upon your site and your willingness to share your expertise and love of painting has encouraged me to “keep at it”. Thanks again! You’re welcome Joan, really pleased you enjoyed the ‘virtual tour’! You’re more than welcome Pam, pleased you enjoyed the article. Thanks Isaura, yes there is a Masterclass just in the dress! I’m slightly embarrassed to admit that this is the first time I’ve heard of Singer Sargent. I’ve never come across him in my studies. I appreciate you sharing his work with us and if I could hop on a plane, I’d be in London ASAP to visit this exhibition. His work is absolutely stunning. Hey Brooke, pleased to have introduced you to his work, glad you like it. How kind of you not only to share the images but you commentaries are very instructive. Thank you Will. I have really enjoyed the paintings and your explanations. I am new to art, and I am about to buy another of your online courses. I have learnt a lot from your beginners course. I love these paintings and you have opened my eyes to something new and beautiful. Thanks Sue, pleased you’ve been enjoying the beginners course. What a treat that show must be! Thank you for sharing all of it. I once saw Carnation, Lily, Lily, Rose and it is forever etched in my memory. One of my favorite paintings of all time. Cheers Martha, yes. it’s a great painting. I love John Singer Sargent’s paintings, especially his watercolors. He is one of my very favorites. Thank you for you insight, I enjoyed your article. Pleased you enjoyed it Lisa, yes, I didn’t get started on his watercolours! they’re fab too! Wonderful article Will…..thank you for the insight and comments….Lovely! You’re more than welcome Lynda. I am very very happy to see Sargent’s portrait paintings and that to with your insight and comments with it. I rarely get chance to get to galleries even in california where I live. Ofcourse excepting local art gallery near my small town in country. I am kind of trying to visualise the life size portraits in front of me, how exciting it must be. I liked the details on little girl’s white satin dress with frills all over, it looks so real! The portrait of Carolus-Duran is very impressive. Thanks for your observations and comments on his techniques. things to note and remember for me. Thanks Pratima, really pleased the article helped to highlight areas of the paintings to look out for. Thank you very much for sharing on sargent’s work. New perspectives that hadn’t occurred to me. Very interesting,will try and visit . Am working my way through your tutorials, apple cherry and lemon and going to do the jug today. Can’t believe I painted some of them, nor can my kids!!!!!! Really enjoying it, many thanks Will. Have a good time in Cornwall. Hi Vicky, really pleased you’re getting good results with the tutorials and impressing the toughest critics! Looking forward to the trip. My favourite is Robert Louis Stevenson. Don’t know why, it’s the one that draws my attention the most. Love the bell bottom look of the pants, the pale face and the wicker chair. Thanks so much for sharing. Aren’t museums and shows just grand!! Thanks Ali, pleased you liked it. As an Aussie, my travel is limited. I was fascinated with your comments about the treatment of the skin tones against black and white. – and JSS’s use of black, generally regarded as a “no-no”. Thanks for the journey. Hi Robyn, yes it’s a great method to test and look out for when composing a portrait, pleased you found it helpful. Oh boy! You really know how to hold attention. The article on Singer Sargent is like a good book – you don’t want to stop until the last page. Absolutely fascinating and makes me feel cheated that I have not seen his work ‘close up’. Your remark about seeing paintings in books belie the real size of a painting. I recall visiting the Rijksmuseum in Amsterdam and being blown away with the pure size of the ‘Night Watch’. Its huge size of over 12 feet x 14 feet wide is to stop you in your tracks. Breathtaking article Will. Can I carry your bags to Cornwall? Thanks very much Charles, really pleased you enjoyed it. Yes, sometimes the sheer scale of a painting can just blow you away. I enjoy your reviews of the exhibits you visit tremendously. Your insights and commentary is soooo much more interesting and helpful than anything I ever learned in my college art history courses (of many many years ago☺️) . Thanks for making them available to us. Cheers June, pleased you found it an interesting read. Thank you for sharing, wonderful article. Thanks very much Denise, really pleased you enjoyed it and the show is travelling to NY in June so hopefully you’ll be able to catch it in the flesh. Thank you very much for your commentary and a reminder on this new exhibit at London’s Portrait Gallery on John Singer Sargent’s Portraits. I fell in love with Sargent’s work last year in February in Boston after I saw a retrospective of over 80 of his watercolours ( belonging to the Brooklyn Museum and the Boston Museum of Fine Arts). Living in Montreal, it will be easier for me later this summer to see that same exhibit of Sargent’s Portraits when it will be shown at NYC’s Met Museum. I also wish to thank you so very much for reminding me of that “Late Turner” exhibit at the Tate. When I got that message some time this past December, I got so excited that I decided to splurge and fly out to London right after New Year’s to catch that exhibit. Turner is also one of my favourite artists, and I so did not want to miss that retrospective. I took advantage of my full week in London to view also that marvellous “Late Rembrandt” exhibit. It was so wonderful also to revisit the rest of the Tate and the National Gallery, as well as the Courtauld Gallery, the Wallace Collection, and the Dulwich Collection. All in all, I left London a bit exhausted after viewing so many masterpieces, but it was a most enjoyable and memorable week nonetheless thanks to You! Hi Roberto, great to hear you had a good gallery trip to London, pleased you found the article of interest. Thanks Will that was very interesting and informative and something I won’t get the chance to see personally. It is nice to know that someone as accomplished as yourself can still be inspired. 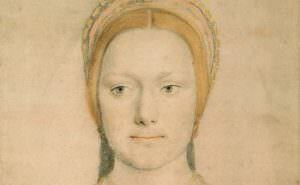 I find it rather sad that this style of portraiture isn’t very fashionable these days, I find it breathtaking. Enjoy Cornwall and fish and chips. Hi Sheila, nice to hear from you, hope the article gave you a flavour of the show, and I’ll report back on Fish & Chips! Hi Will thank you for sharing your blog on John Singer Sargeant, can’t believe I missed his exhibition I was only in London last week such a shame. But I’m really pleased you wrote about his work I feel much closer to knowing more about about him. I love the way he captures light and detail! Thanks again it’s great to catch up with you again! Cheers Mandy, hope you’re keeping well. Great to hear it Cheryl, pleased you found the article gave you a fresh perspective, there are so many great places and views in Cornwall, I’ll try to add a few to the article. In my busy schedule on the run up to the elections, I found a little bit of relax time and read your article. I was/am transfixed by the beautiful paintings by Sargent, made even more amazing by your descriptions of the textures created by the use of different brushes. The colours created to make a shade slightly darker or lighter but still using the same colour. I found this especially interesting on the beautiful white dress of the girl. It looked like satin and silk. Such an artist was Sargent! By studying these paintings with the help of your descriptions, I can practice (practise?) on my canvass of the flying horse in the sky of clouds. Clouds create wonderful images in 51 shades of white! Thanks Ursula, nice to hear from you, a translation into clouds sounds perfect! really pleased you enjoyed it. I had not heard of Singer Sargent. His paintings are brilliant. Thanks so much for letting us know this is coming to the Met in NYC this summer. I am going to catch it there! Good one Christine, really hope you enjoy the show. Thank you so much. I LOVE Sargent! Just got back from seeing (only)one of his magnificent portrait in San Francisco, CA. It is part of the Masterpieces From the National Galleries of Scotland special exhibition. The portrait of Lady Agnew of Lochnow. Thank you again for the very informative article. You’re welcome Tehila, yes that show of the Masterpieces From the National Galleries of Scotland looks like a good one, there is a Raeburn in the exhibition who also painted sight-size. Thanks for sharing your views on Sargent. I love his paintings and I’m looking forward to going to the exhibition at the Met in NYC. I also love your tutorials. I’ve done quite a lot of your tutorials and I’m always amazed at they’ve turned out. Your a great teacher! Kind of you to say so Ramonita, so pleased you’ve been achieving good results from the tutorials. The detail of the white almost silk like dress is amazing – not only the shading etc but also just making sure that is balanced everywhere… i.e. the man lounging on the chair, you don’t get an impression that one leg might be painted shorter than the other etc. Hi Will. I had a dig at Sargent in a mail to you, but it can be safely ignored. I look at that painting of the two girls with the lanterns and my scientific and artistic sides collide in an explosion of joy. 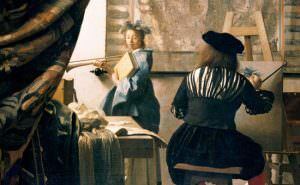 A painting is viewed by reflected light. It is not self luminous. Yet in this painting, Sargent made the lanterns look fantastically self-luminous and it makes me think and wonder how he did it. A scientist could cheat and mix up a paint with zinc sulphide (a scintillator) and a dash of radium so it would glow in the dark. But the supreme artist Sargent did it with reflected pigments. I see how the rest of the painting is all a kind of pale blue grey, so when he painted the glow of the lanterns with reflective paint, they sprang out and looked luminous; helped by the glow on the skin..
Oh and of course, he could paint a face, and a body, not to mention the composition. It does make us feel very insignificant when we pick up a brush. Hey Robin, nice to hear the word radium when discussing a painting! pleased you’ve been enjoying studying the piece. Thanks for sharing, Will. My artist friends, mostly American, having been urging me to study Sargent for some time, so it comes as no surprise to read your enjoyable posting. I shall try to find an excuse for getting to London. Great post, Will, many thanks. You’re welcome John, pleased your travels went well. Thank you for sharing this beautiful exhibition! I have only seen the painting with the two girls before, as I have it in an almanac. THANKS FOR SHARING SOME BEAUTIFUL PAINTING WILL…. Thank you for sharing this. I’m looking forward to seeing it at the Met in New York. Biltmore Estate in Asheville, North Carolina has a few of his works on display. The portrait of Frederick Law Olmstead, the architect of New York’s Central Park and the grounds at Biltmore, is always a highlight for me. Cheers James, hope you catch the show at the Met. thanks Will. One of my Singer favorites is the Serving Girl. I copied this painting and felt that serving girl was irritated. Wow! I’m totally mesmerised by the Carnation, Lily, Rose painting! Amazing sense of light and atmosphere. I can only imagine what it’s like up close and on a life-size scale. Incredible! Pleased you liked the painting Tony, hope you’re keeping well. Thanks Will for the tip about my favorite painter (along with Boldini and Kemp!) i was able to see it before it ended thanks to Easy jet and a kind husband. Such virtuosity in his brushstrokes, I am studying the catalogue now in the hopes of being able to decipher just how he does it! Also that portrait of Paul McCartney in the gallery was outstanding! Thanks again! We had a great 3 days in london…and no rain, double fun! Cheers! Hi Colleen, so pleased you managed to catch the exhibition and enjoyed the portrait gallery, there are some amazing portraits on show. I think what affected me most in the painting of Eduard & Louise, was the way her eyes had been painted in half shadow. I was absolutely mesmerised by this. A wonderful exhibition and your insight into the artist’s techniques, Will, were very interesting. Thanks Jennifer, glad you enjoyed the insights into Sargent’s methods. There is simply so much to admire and learn looking at these painting. What most intrigues me, mainly because of my stumbling attempts to approach adequacy in this area, is how adept he was at painting complex white objects and fabrics without them looking flat or false. I am having a devil of a time right now with a still life that includes a bowl of stiffly whipped cream, and wish I had either him at my side to guide my brush and palette choices, or just as good in real life, a Will Kemp tutorial on the subject. Please let me know if an when such a thing exists. Hi Steve, yes, he really was a master of painting white objects, I don’t currently have any specific tutorials on painting white, but the best way to practice is to work from a black and white image of a white subject. It can be very revealing just how many dark grey tones are within the whites. Then paint the subject in tones of grey and you can start to observe how ‘white’ a grey painted subject can appear. Great tip. It’s always about tonality! Painting convincing whites, drape folds and glass continue to be huge challenges… I’ll keep an eye peeled for when you cover these. Thanks for the follow up. Dear Will Once again thank you so very much for sharing these beautiful paintings and teaching me some important art history at the same time. I am fascinated by the way in which beautiful fabrics are painted by the masters the subtlety of the tones and shapes are quite miraculous to me. Really pleased you enjoyed the article Lynette, Sargent is a great painter to study for his handling of fabrics.